There's good news for those of us who are black homeschoolers - the African-American home school movement is growing! This article discusses the benefits and challenges of African-American homeschooling, and provides information about resources and support. In 2005, we were often one of the only black families on field trips, and at support group meetings and conventions. 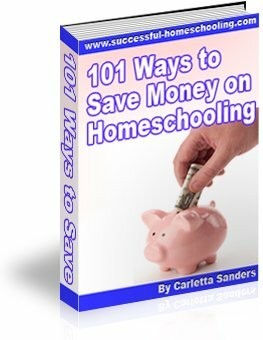 But every year, the homeschool community has become more and more diverse. According to The National Home Education Research Institute, African-Americans now make up 15% of homeschoolers. I love it that more people realize home education is not just for a certain race or socioeconomic group. Teaching children at home is a wonderful experience for people of all backgrounds and cultures! Why Would an African-American Homeschool? As with other families, African-Americans homeschool to take advantage of homeschooling benefits. We want to escape a failing school system that harms black children at an even higher rate than it does other children, and teaches ideals that contradict traditional black values. Many black homeschoolers also decide to home educate so they can teach African-American history and culture, an area often neglected by traditional schools until Black History Month. At home, children can learn about the heroic black soldiers, pilots and inventors who have contributed to America. They grow up with a strong sense of purpose and identity, which is so often damaged by the racial bias, labeling, and negative peer pressure that can occur in public schools. Black parents are choosing to homeschool in large numbers for reasons as varied as black families themselves. Here's an article from the February 2010 issue of Essence, in which African-American parents Albert and Aretha Taggert explain Why We Homeschool Our Children. Would you give up the opportunity to be the first black woman in space in order to homeschool your children? Helen Jackson is an African-American home school mom who did just that. Attorney: "Where did you work?" Ms. Jackson: "In Houston." She was brief, determined not to reveal her surprise until the last moment. Attorney: "What did you do at NASA?" At this point he smiled indulgently, as if wondering if she worked in the restaurant or in housekeeping. This was the opportunity she had patiently waited for. Ms. Jackson: "Well, you see, I am a John's Hopkins University astronautic electronics engineer. At NASA, I was promoted to be the first black woman in space when I discovered that my oldest son was developing serious emotional symptoms and needed me more than NASA did. So I returned to teach him at home. And he is doing very well." Black parents have been involved in the fight for the rights of homeschoolers since the early days of the movement. For more information about Helen Jackson and other African-American home school pioneers, read The African-American March in Homeschooling. Some African-American home school families have come under fire for abandoning the legacy of the Civil Rights Movement. However, these homeschoolers realize hard won court decisions like Brown vs. Board of Education didn't solve our problems. Public schools remain largely segregated and the government has not lived up to its promise to provide a quality education for our children. Although some public school advocates argue that removing good students will weaken the schools for those who can't leave, the truth is - schools have had great students in their classrooms for years, yet the system continues to fail many children. Instead of participating in lottery systems that promise to place a few students in "good schools" while leaving many to languish in a sub par environment, parents can provide their children with a high-quality education in the nurturing, supportive environment of the home. Black homeschoolers still support the long-held belief that education is the key to success. We just think home is the best place, and parents are the best people, to provide that education. Lack of information about homeschooling, lack of diversity in homeschooling circles, and lack of support in the larger community are the most frequently cited concerns of African-American homeschoolers. National Black Home Educators Resource Association - This organization was founded in 2000 by Eric and Joyce Burgess, parents of 3 graduates and 2 children who are still being homeschooled. Their goal is to empower parents to teach their children at home, and raise the next generation of leaders. Black Homeschoolers Club - This social networking site was created by African-American home school advocate, Jennifer James. BHC features blogs, videos and forum discussions generated by parents just like you! Black Homeschoolers Magazine - Here's where you can find the latest information about black homeschooling. This organization was formed to support black homeschoolers and encourage more parents of color to teach their children at home. Mocha Moms - This organization is made up of over 100 active local chapters around the United States that support mothers of color who have chosen not to work full-time outside of the home. Follow this link to find additional information about books, curriculum and other resources for African-American homeschooling.